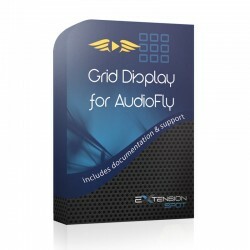 Grid Display is an AudioFly music player add-on. 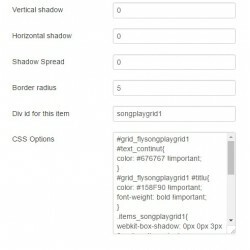 You can use this Joomla module to make your songs look and feel as articles, with generous descriptions and play option for each song. 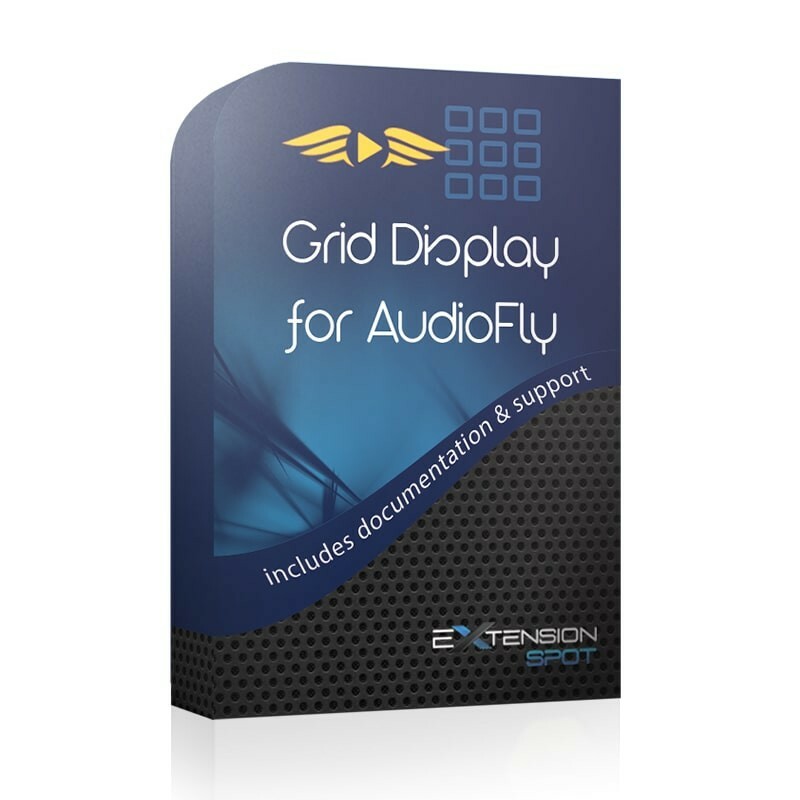 Would you like to display the audio files in a grid layout, with poster images and more detailed descriptions? Then this add-on is perfect for you. 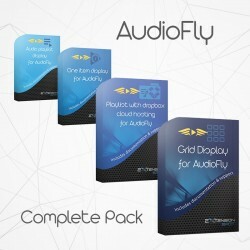 Just download the main module AudioFly, get yourself this Grid Display add-on and start creating that gorgeous website of yours! You can use it for music shops, kids websites, bands and musicians portfolios and every website you wish to have a cool music player and a larger presentation for your songs. 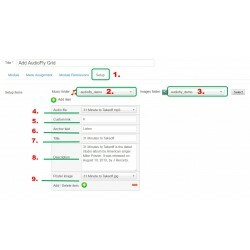 What's best is that you can set up a custom link (eg. download, buy, more info...) for the song, and when the client plays it, inside the player he will have that specific option for each song! Another cool feature is that your clients can create a playlist that will still be there at page refresh or new visit, with no browser cookies! 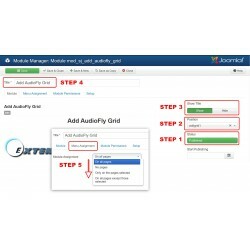 This Joomla module is very easy to set up, thanks to the special back-end option that allows you to set up your songs individually. 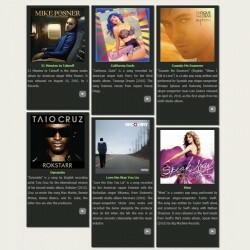 For each song, you can set a custom/download link, play / listen custom text, title, description and poster image. 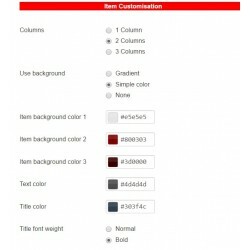 You can also customize columns, background and title colours, title font weight, button width and height, shadows and borders. Not enough? 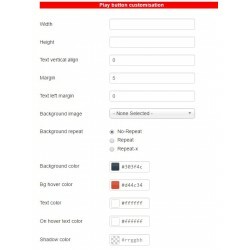 You can go further by adding more customization rules thanks to the Custom CSS Option! 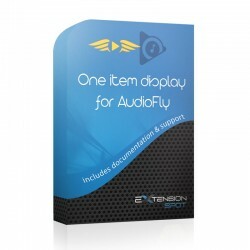 This module requires AudioFly Main module. Please download from the DOWNLOAD tab here and install. One of its cool features is that your clients can create a playlist that will still be there at page refresh or new visit, with no browser cookies!